Still on Twitter? Your Follower Number is Soon to Fall. Maintaining authenticity has become a priority for social networks. As social media continues to grow, people look for real, authentic content and users to engage with. Twitter announced the latest of its efforts to fight platform abuse and maintain authenticity on its network. An account becomes "locked" when Twitter detects some sort of sudden suspicious activity from it, like tweeting a high number of out-of-context mentions or several links to false content. In these cases, Gadde explains, the network lets the account owner know about the activity and requests that it be revalidated with a new password. Until that happens, the account remains locked and the owner is unable to log in. Now, these accounts will be removed from total follower displays for all users globally. The majority of users, says Gadde, will lose a maximum of four followers -- but those with a significantly higher following, like celebrities or major verified brands, might see a major reduction in these numbers. These changes will take effect over "the next few days," writes Gadde -- starting as early as this Thursday, according to the New York Times. 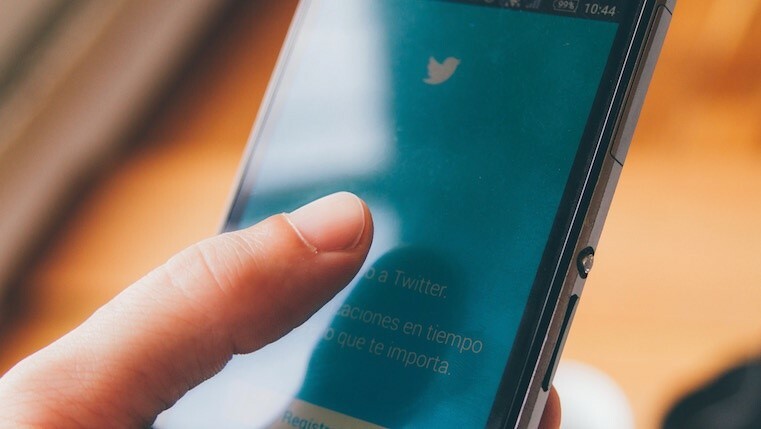 The announcement comes after a recent report from the Washington Post that Twitter is suspending roughly one million suspicious accounts each day since about May. 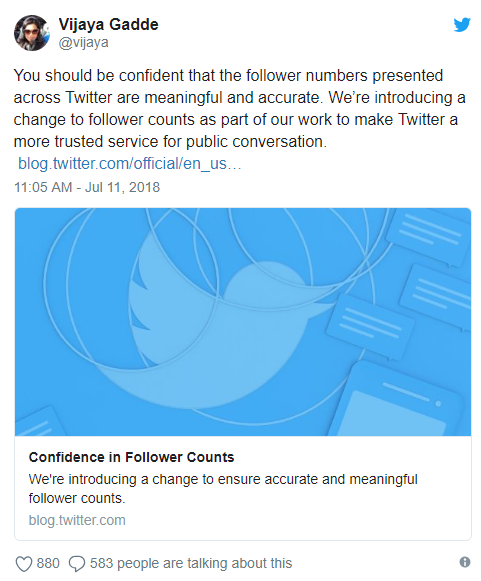 Most of this recent activity from Twitter -- from its sweeping removal of suspicious accounts to removing locked ones from total follower numbers -- is part of its ongoing efforts to improve the "health" of the social network. In March, Twitter posted an official request for proposals from the public to conduct a comprehensive study of the social network's ability to maintain, as CEO Jack Dorsey put it, "collective health, openness, and civility of public conversation." Along with such other Big Tech counterparts as Facebook and Google, Twitter has come under fire for not only failing to sufficiently fight platform abuse -- but also, for allowing the network to be weaponized by foreign actors with the spread of false and divisive content to influence the 2016 U.S. presidential election. 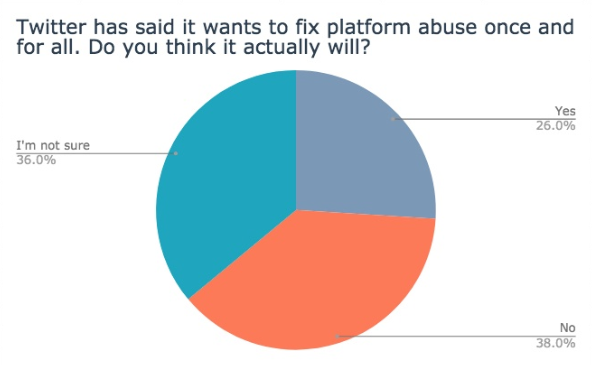 Some public figures have been especially outspoken about their dissatisfaction with Twitter's response to this ongoing crisis of communication -- and according to our own survey data, skepticism of the company's ability to truly resolve these issues is somewhat widespread. If and how this latest move from Twitter will have a significant, lasting impact on the network's health remains to be seen -- but as for its impact on users, some are likely to experience more setbacks than others. 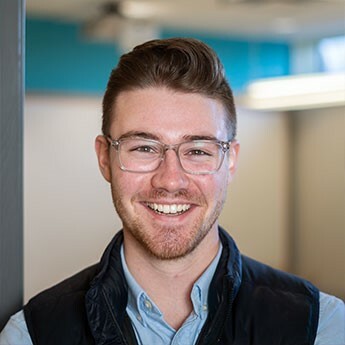 “The important thing is how you engage your followers,” says Jess Jacon, Digital Marketing Coordinator for Sherpa Marketing. “Marketers and brands should be looking at how engaging that influencer is,” Jacon explains, "There are many influencers with hundreds of thousands of followers, though they are not always as engaging as an influencer with only a couple of thousand followers may be." Those influencers who do not have an engaging following are likely to have a follower list that is inflated with fake followers. If an influencer has done their diligence and have built their following in a genuine way, there is nothing to worry about – but for those who didn’t, watch out! Interested in digging deeper? Check out the full article over at Hubspot.